Final after a lot of waiting and dealing lots of leaks, HMD officially announced its first phone with punch hole display with Nokia X71. With this launch, Nokia became the latest Android phone to embrace this technology in their smartphone. The phone was launched in Taiwan on Tuesday along with the Nokia 9 PureView. The phone will be a part of Nokia’s high-end smartphones as it is the first ever smartphone from HMD Global with hole-punch selfie camera. You can get this super amazing phone by spending TWD 11,900 or roughly INR 26,600. The phone will be made available from April 30th in Taiwan. Initially, the phone will be available only in Eclipse Black color. Although, there is no such information about the release of the phone in India but it is expected to be soon released in India as well. Just like most of the Android phones, this phone too is an Android One device which is supported with 18W of fast charging time. 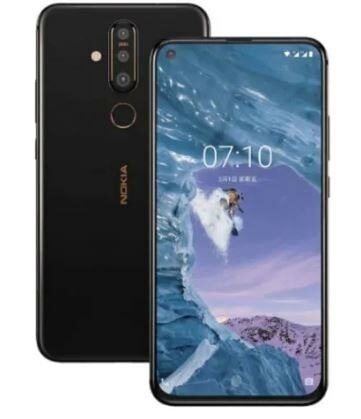 The Nokia X71 is expected to give a new direction to the Nokia brand. What are your views about the same? Please comment below your thoughts and also share how excited are you about the launch of Nokia X71.